We are almost at the end of August, can you believe it? The end of the month means a couple of promotions you have only a few more days to take advantage of. Plus, since it's a holiday weekend, Stampin' Up has released two new promotions early! Celebrate the change of the seasons with some of our favorite autumn themed stamp images from the past 25 years! 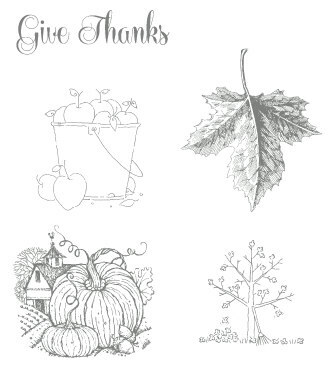 The five piece Best of Autumn Stamp Set brings together some beautiful fall images along with a never-before-seen "Give Thanks" stamp that makes this the perfect set for all your autumn projects! 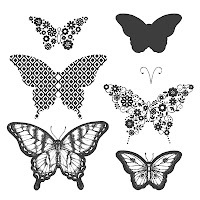 September's special promotion (starting a few days early) is the Butterfly Bundle! 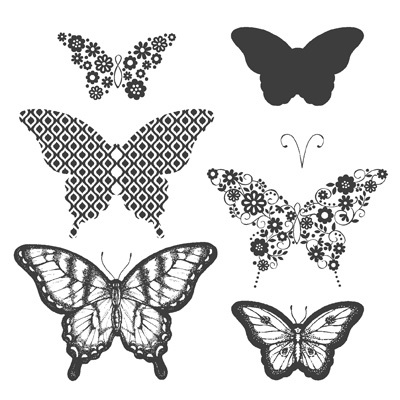 You'll save 15% when you purchase the bundled Pappillion Potpourri Stamp Set and Bitty Butterfly Punch.